The past three years have seen a true phenomenon develop around the cannabis law reform movement which has quickly crossed into mainstream society, commerce and general awareness. It’s the explosion of the CBD market, a trade that has grown from zero to £50 million per annum in the UK in this very short period. There has been a great deal of nonsense published about the market, the products and their legality both under drugs laws, food and medicines regulation. The facts that are set out in this article are established from close involvement with the developing market on a daily basis as well as consultation with a number of lawyers of all types and levels of experience as well as direct contact with the Home Office, the Medicines and Healthcare products Regulatory Agency (MHRA), the Food Standards Agency (FSA) and other authorities. The market has been driven initially because of growing interest in the medical benefits of cannabis and the recognition that, within certain constraints, products derived from low-THC cannabis, legally grown under licence as industrial hemp, are a legal alternative. 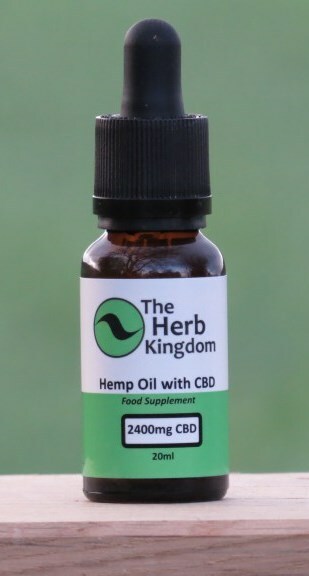 An important factor has been that CBD is most often consumed by placing a few drops of oil under the tongue. This has avoided the stigma of smoking a joint and is more in line with the way people perceive a medicine or health food. The CBD market has also exposed the contradictions, inconsistencies and errors in the Misuse of Drugs legislation and particularly in the confused and inconsistent way in which the Home Office attempts to administer it. For instance, currently there are CBD products produced legally in other EU countries and the USA which can legally be sold in the UK but which the Home Office will not permit UK companies to produce. Ironically, the most significant development has been that responsible CBD suppliers have moved away from claiming the sort of medical benefits that are, in fact, the reason for the market’s existence. Although everyone knows this is why people are buying CBD, if you’re in the business of supplying the products you can’t say a thing, not even indirectly, about the medical benefits it offers. 18 months ago, all the leading and responsible suppliers of CBD products in the UK joined together to create their own trade association. The Cannabis Trades Association UK (CTA UK) now represents 80% by turnover of all the CBD suppliers in the UK. It is governed by its members who have established a set of standards on products, labelling and marketing which all abide by. These standards are designed to protect and inform consumers and to ensure that all CTA UK members are compliant with the law. The formation of CTA UK was prompted by the MHRA issuing warnings to some suppliers about making medical claims for their products. To remain within the law, CBD products must be sold as food supplements and the most that can be said about them is that they help to improve and maintain health and wellbeing. Before any product can be marketed with medicinal claims it must have a marketing authorisation from the MHRA. Food supplements must also comply with certain laws and regulations administered by the FSA. CTA UK is now engaged in a continuous dialogue with both the MHRA and FSA. Regular meetings are held to consider new suppliers and products entering the market to ensure they comply with the law, regulations and CTA UK standards. When supplied by a CTA UK member, consumers can be certain that the product they are buying is 100% legal and is accurately labelled and described. CBD is not a ’controlled drug’. 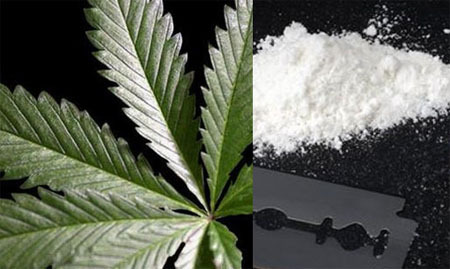 It does not appear in any of the classifications or schedules to the Misuse of Drugs Act 1971. Contrary to suggestions that the market is “in chaos”, “half-legal”, “a bit of a mess” and other spurious claims, in fact, it is a model of self-regulation where the industry itself has put aside its competitive instincts to co-operate for the benefit of consumers and in its own long term self-interest. No suppliers will be admitted to membership of CTAUK unless they cease making medicinal claims, stop selling illegal products (for instance with high levels of THC, described as ‘indica’ or intended for pets or veterinary purposes). Indeed, any suppliers that continue such conduct are likely to be subject to enforcement action by the MHRA and Trading Standards. There are further changes or clarifications in the law relating to some CBD products which have emerged in the last few weeks. These arise out of regulations from the FSA. Isolates or pure CBD are now no longer permitted as they have been classified as ‘novel foods’. This could mean a prison sentence of up to two years for anyone selling them. It’s a myth, although regularly reported in the press, that there has been any change in the law or that CBD has been made legal or classified as a medicine. CBD products can already be prescribed by doctors without any restriction, just as any other food supplement. When the inevitable cannabis law reform takes place it will still be unlawful to make medicinal claims about any CBD or cannabis product without a marketing authorisation from the MHRA. Within the next few months, the first CBD medicine will receive a marketing authorisation from the MHRA. Epidiolex, a whole plant extract, refined to deliver 98% CBD, is GW Pharmaceuticals’ second cannabis-derived prescription medicine which is intended for severe forms of paediatric epilepsy. It is not derived from industrial hemp but from high CBD strains of cannabis grown specifically for the purpose. It should be noted that this is to be administered in massive doses of up to 20 mg per day per kg of body weight, CBD as a food supplement for adults has a maximum recommended dose of 200mg per day. The CBD food supplement market will continue to grow. Other medicines may be authorised in the near future, most likely under the MHRA’s Traditional Herbal Registration scheme, which will permit them to be described as medicines for minor ailments not requiring the supervision of a doctor. Clearly, it remains urgent that our government gets to grips with the reality of the need and benefits of cannabis for medical use in the wider sense. However, even as we begin to make progress the CBD market in its present form will continue to fulfil an important need for many years to come. In November 2016 I organised a meeting with the Medicines and Healthcare products Regulatory Agency (MHRA) and a number of key players in the CBD market. It was in response to the MHRA seeking to clamp down on sales of CBD oil and related products. That meeting led directly to the formation of the Cannabis Trades Association UK (CTAUK) which now represents more than 80% by turnover of all CBD suppliers in the UK. Since that first meeting my friend and colleague Mike Harlington has taken on the leadership role at CTAUK and I give him great credit for what has been achieved. We expect formal recognition by the MHRA is only a few weeks away and that is a tremendous coup. For the first time ever, in the face of total intransigence by government, we have established to a significant degree a legally regulated cannabis market. Clearly, it doesn’t yet go anywhere near far enough but this is the most concrete move ever towards long overdue cannabis law reform. The first 18 months of CTAUK have not been easy. Other than the MHRA, the other branches of government concerned are the Food Standards Agency (FSA) and the Home Office. The FSA has also become a close working partner but, unsurprisingly, the Home Office remains difficult and our efforts to engage constructively with it have been characterised by responses that are inconsistent, irrational, contradictory and a realisation that it’s losing its grip on cannabis policy. It is impossible to deal with. In fact, I almost sympathise with the unfortunate civil servants charged with administering a policy that is itself irrational and contradictory and driven only by outdated prohibitionist values. Maladministration of the Misuse of Drugs Act is now a persistent reality and several legal challenges to the Home Office’s conduct are imminent. Soon the High Court will become involved in UK cannabis policy and then, in theory, facts and evidence should prevail rather than propaganda and government disinformation. The CTAUK has been engaged in regular meetings with the MHRA and I was invited along for the most recent occasion. The CTAUK team was Mike Harlington, Tom Whettem of Canabidol and myself. 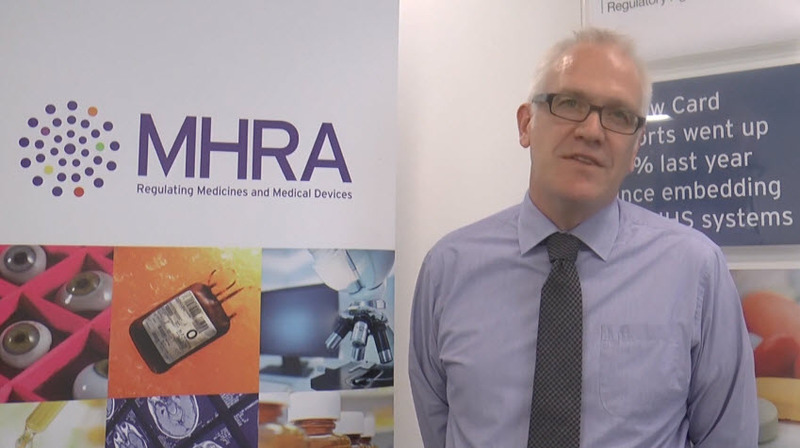 The MHRA team was Dr Chris Jones, head of the Borderline Medicines section and Raj Gor. We discussed many administrative matters and gave a great deal of time again to discussing medicinal claims and how members could avoid mistakes. It seems obvious that no claims of medicinal benefit can be made but there are many instances where it’s not clear cut. A particular case we looked at was the use of ‘night’ and ‘day’ CBD products. Eventually it was agreed that this description is acceptable but only just. This is an excellent example of how CTAUK works to represent its members’ interests and with goodwill on both sides how positive agreement can be reached. On a continuing, day-to-day basis CTAUK and MHRA are in constant touch, ironing out problems, asking for and taking advice from each other. I am impressed with the way the relationship has evolved and jointly we bring great benefit to the industry and consumers. It’s popularly believed that the obstacle to prescription of cannabis by doctors is that it is in schedule 1 of the Misuse of Drugs Regulations. 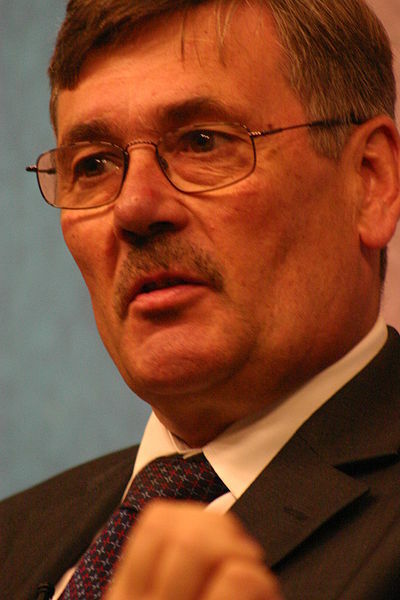 In fact, in 2001, the then drugs minster, Labour’s Bob Ainsworth MP, enacted a little known provision of the Misuse of Drugs Act 1971 UK specifically to make prescribing of cannabis a criminal offence. Extraordinarily, apart from mescaline, raw opium, coca leaf, DMT and some extremely rare substances that most people will never have heard of, cannabis is the only substance to which this ruling applies. The Statutory Instrument can be seen here. It designated cannabis as a drug to which section 7(4) of the Misuse of Drugs Act 1971 applies. I have reproduced the relevant sections at the end of this article. Why? Well that is a very good question and one that will no doubt be subject to endless speculation. Could it be because only a couple of years previously the House of Lords Science and Technology Committee had recommended that it be available on prescription? No doubt the conspiracy theorists will connect it to that fact that only six months previously GW Pharmaceuticals PLC had floated on the Alternative Investment Market of the London Stock Exchange. It certainly demonstrates a determination by the then Labour government to restrict and prevent the medical use of cannabis as tightly as the law could possibly allow. It is unprecedented that such rigid controls should be placed, without any supporting evidence, on a substance which we know from recorded history has been used as a medicine for at least 5,000 years. What is most important is what this means for law reform. Removing cannabis from schedule 1 would be insufficient to allow doctors to prescribe it. The Statutory Instrument would also need to be rescinded so that section 7(4) of the Act no longer applied to it. However, what this highlights is that the scheduling of cannabis and its use as medicine is entirely within the discretion of the Home Secretary. 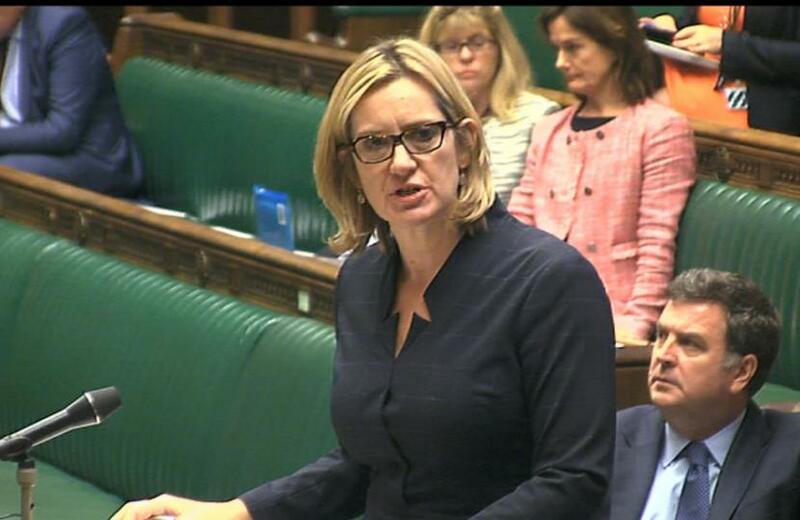 The present incumbent, Amber Rudd MP, or any of her successors can, entirely on her own account, make any change to the scheduling of cannabis or doctors’ ability to prescribe it. She can also issue a licence on whatever terms she chooses to enable individual prescription, importation or possession. In other words, the fate of Alfie Dingley and thousands more is entirely in Amber Rudd’s hands. The dishonest excuses advanced by junior Home Office minister Nick Hurd, that they “want to explore every option within the current regulatory framework” is obfuscation, doublespeak and deception at its most blatant. (b)that it is not unlawful under section 5(1) of this Act for a doctor, dentist, veterinary practitioner, veterinary surgeon, pharmacist or person lawfully conducting a retail pharmacy business to have a controlled drug in his possession for the purpose of acting in his capacity as such. he may by order designate that drug as a drug to which this subsection applies; and while there is in force an order under this subsection designating a controlled drug as one to which this subsection applies, subsection (3) above shall not apply as regards that drug. When Mike Dobson first called me a few months ago and told me he had an idea for gaining legal access to cannabis in the UK, I was, of course, sceptical. CLEAR has frequently been approached with hare-brained and convoluted plans for avoiding the law that prohibits cannabis. Without exception they have all been bonkers. Within a few minutes though, I could see this one was different. In the past, most of these ideas have been around sidestepping the law by claiming ‘freeman’ status, the suggestion being that statutes, laws made by Parliament, are only enforceable if you have consented to them in the first place. Some claim to have succeeded in using this to defeat charges for growing cannabis, even having their harvest returned to them by police. I can’t verify any of these stories but I’m quite sure the courts are littered with the broken dreams and delusions of those who have tried to go down this path. The big difference with Mike’s plan, his ‘scheme’ as I like to call it, is that instead of evading, avoiding or dodging the law, it actually uses the law itself to provide legal rights to grow and possess cannabis. Preston Cannabis Club Website. Click To Enter. The Misuse of Drugs Act 1971 empowers the Home Secretary to issue licences in respect of cannabis. These could be for cultivation, production, possession, supply or any other activity such as import or export. This scheme involves setting up a company to cultivate cannabis and produce cannabis products under licence from the Home Office – the ‘Licensed Supplier’. Providing the various licence conditions are complied with, the Home Office cannot unreasonably refuse such a licence. If it does then it will be subject to judicial review. The licence conditions that need to be met are security and the prevention of ‘diversion’ of the cannabis into illicit or unlicensed hands. The next step is to set up another company where it and its shareholders, guarantors and/or members are licensed to possess cannabis – the ‘Membership Company’. Again, providing the licence conditions are complied with, the Home Office must issue a licence and if it refuses judicial review proceedings can be brought. Sensible and responsible rules must be put in place so that members only consume cannabis in private with necessary security precautions. The genius of Mike’s scheme, now coming to reality with the first Membership Company, the Preston Cannabis Club, is that it uses the law exactly as it is intended, to ensure that the only people cultivating, producing, supplying or possessing cannabis are licensed to do so. I have consulted informally with several lawyers and there is no doubt that this scheme holds promise. Whether it works out remains to be seen. CLEAR is putting its weight and support right behind the scheme as a responsible and lawful way to enable legal access to cannabis. I would expect initial resistance from the authorities but if we are right, it would mean Parliament would have to pass a new law to prevent this happening. In my judgement that is unlikely and, in fact, the demonstration of such a legitimate route to cannabis would get the government off the hook of its present, unsustainable policy. Watch this space. CLEAR is now actively involved in supporting this venture and we will keep you fully informed. This was the response that CLEAR submitted to the APPG in February 2016. 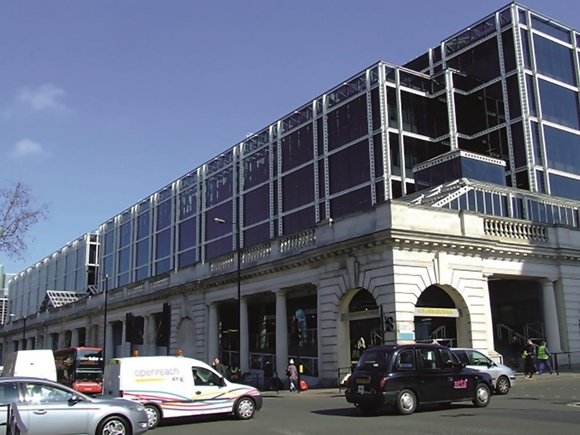 In March 2016, Roland Gyallay-Pap, then managing director of CLEAR and Peter Reynolds, president, were called to give oral evidence to the Inquiry. A PDF copy of this document may be downloaded here. A copy of the Powerpoint presentation delivered by CLEAR at the oral evidence hearing can be downloaded here. In June 2015 the All-Party Parliamentary Group for Drug Policy Reform (APPG) published a short report arguing for a rescheduling of cannabis to make it more widely available for medical use. Following the publication of that report there are a number of key questions remaining that it would like to address by means of a Short Inquiry. Whether switching the medical status of cannabis from schedule 1 to a less restrictive schedule would be beneficial? What do you understand to be the range and extent of unofficial use of cannabis for medical purposes? What has been the impact of the current schedule 1 status on research into the medicinal uses of cannabis? Is there useful evidence emerging from the regulation of cannabis in over 20 US states and elsewhere and what does it tell us about the case for cannabis to be included in the UK pharmacopeia? What would be the implications of licencing cannabis for medicinal use following a change in Schedule? What role could EU regulations play in developing the potential for the medicinal use of cannabis? We have also added a further response with additional information. Access to prescribed Bedrocan medicinal cannabis is already possible based on careful use of loopholes and errors in existing English law. Yes, we consider that switching cannabis from schedule 1 to a less restrictive schedule would be beneficial, both so that it could be prescribed by doctors as medicine and so that it could more easily be used in research into its use and effects. Cannabis has been in schedule 1 of the Misuse of Drugs Regulations1 (MoDR) since the Misuse of Drugs Act 19712 (MoDA) came into force. Drugs in schedule 1 are specified as having no medicinal value. However, an inquiry by the House of Lords Science and Technology Committee published in 19983 recommended that doctors should be permitted to prescribe cannabis and that it should be moved to schedule 2. Strangely the government’s response to this recommendation was further to tighten restrictions by the Misuse of Drugs (Designation) Order 20014, which designates cannabis under section 7(4) of MoDA so that it is unlawful “for a doctor, dentist, veterinary practitioner or veterinary surgeon, acting in his capacity as such, to prescribe, administer, manufacture, compound or supply” it. The MHRA has chosen to issue a marketing authorisation8 for nabiximols (Sativex) by regarding it as only a two molecule medicine. The marketing authorisation is therefore at best inaccurate, at worst dishonest. In 2011, CLEAR commissioned independent, expert research from the Independent Drug Monitoring Unit (IDMU). The report, ‘Taxing the UK Cannabis Market’9, reveals there are three million people using cannabis in the UK regularly (at least once per month). Since then CLEAR has regularly polled its members and followers and consistently one in three of respondents claim at least some part of their use is for medicinal reasons. It is reasonable to estimate therefore that there are up to one million people using cannabis for medicinal purposes in the UK. It is certain that there are hundreds of thousands of medicinal users and previous estimates in the region of 30,000 are far too low. The most common indications for medicinal use declared by our respondents are chronic pain, fibromyalgia, Crohn’s disease, multiple sclerosis and cancer. Our interpretation of the responses we have received is that generally cannabis is used as a palliative agent. Some people find it so effective that they consider it to be a ‘cure’ as long as they keep using it. Others find it extremely helpful in reducing the amount of toxic and/or dangerous pharmaceutical medicines they are prescribed. Often the side effects of pharmaceutical medicines are severe and debilitating and cannabis offers a way of minimising these. In the UK there is very little research into the medicinal uses of cannabis, except that undertaken by GW Pharmaceuticals11. There has been some research carried out into single cannabinoids but the evidence is that the therapeutic effects of cannabis depend on the whole plant ‘entourage effect’. The allopathic, reductionist approach to medicine, which is reflected in the way that the MHRA regulates medicines, is the fundamental, establishment doctrine that impedes research into cannabis. Sadly, one of the biggest trials of MS patients, the CUPID study at the University of Plymouth12, intended to look at the many anecdotal reports of benefit, used synthetic THC and consequently the results were disappointing and irrelevant to the claims it sought to test. There is a huge stigma around cannabis, largely due to inaccurate, misleading and hysterical press coverage. For instance, neither of the pre-eminent MS patient groups, the MS Society and the MS Trust, will take a stand in support of patients, despite the fact that many use cannabis. Similarly, despite extraordinary human clinical trial results on Crohn’s disease, none of the Crohn’s patient groups will engage with the campaign. Mention cannabis and calls are not returned, people are scared by the stigma. The immediate reaction from all such patient groups is to overlook evidence of benefit and refer to risks to mental health which, in fact, are very low compared to pharmaceutical products. The press, unchallenged by politicians in its disproportionate attention to these risks, bears a heavy responsibility for this stigma and the lack of research. Unlike many within the reform movement, CLEAR recognises and values the expertise and achievements of GW Pharmaceuticals. However, any doctor or scientist that expresses any interest in medicinal cannabis in the UK is immediately retained or contracted by GW. We receive hundreds of reports of doctors, GPs and consultants, who tacitly and sometimes explicitly support their patients’ use of cannabis but it is impossible to find any doctor who is prepared to speak out publicly. In the few instances where doctors have spoken out on behalf of patients, they have been contacted by Home Office officials and warned. One GP reported that he felt “intimidated”. By contrast, there are tens of thousands of doctors across Europe, Israel and North America who advocate for the use of medicinal cannabis and further research into its applications. The security and record-keeping requirements for cannabis as a schedule 1 drug15 are wildly disproportionate to the real potential for harm, requiring a high security safe for storage and an audit trail fit for Fort Knox. In addition the fee for a high THC licence is currently £4700.00 per annum and applications can take more than a year to process. These requirements, delays and corresponding costs severely impede research into medicinal cannabis. “In 2013 the Home Office undertook a scoping exercise targeted at a cross-section of the scientific community, including the main research bodies, in response to concerns from a limited number of research professionals that Schedule 1 status was generally impeding research into new drugs. We consider this response to be disingenuous and misleading. Cannabis is a special case. It is a combination of hundreds of molecules, unlike other schedule 1 drugs, most of which are single molecules. Also, as is well established in written and archaeological evidence, cannabis has been used effectively for at least 5,000 years as medicine without any evidence of harm. Furthermore. ethical approval and funding are difficult largely due to the evidence-free scaremongering about cannabis and the consequential stigma, in which the Home Office plays a leading role. Ethical approval and funding do not seem to be a problem in researching potential harms of cannabis. Indeed, as noted above, there is a massive amount of such research even though much of it is repetitive and inconclusive. Until it is recognised that for many years, under successive governments, the Home Office has been systematically misleading and scaremongering about cannabis, it is difficult to see how an evidence-based decision can be reached. The Home Office regularly makes assertions about cannabis that are completely without evidential support. There is an established prejudice and determination to misinform and this must be tackled at root as it amounts to misconduct and corruption. There is a vast amount of peer-reviewed, published evidence of the safety and efficacy of cannabis as medicine. Much of this arises from research carried out in the USA, the Netherlands and Israel, where medicinal cannabis regulation has been in place for many years. It is a populist myth, promoted by the Home Office, the press, the BBC and the prohibitionist lobby, that there is no evidence supporting the use of cannabis as medicine. In February 2015, a delegation of medicinal cannabis users from CLEAR met with George Freeman MP, the life sciences minister, at the Department of Health who is largely responsible for medicines regulation. At the conclusion of the meeting, Mr Freeman requested CLEAR to produce a summary of the available evidence. The result is the paper ‘Medicinal Cannabis:The Evidence’16 (MCTE) which has received international acclaim, so much so that in association with Centro de Investigaciones del Cannabis (CIC), a Colombian non profit association, a Spanish language version has been published. MCTE was submitted to George Freeman MP in April 2015. Since then he has repeatedly refused to meet CLEAR again or respond to us directly, even after multiple requests from individual MPs representing CLEAR members. His only responses, received through third parties, fail to address the evidence at all. He simply refers to the legal status of cannabis, the theoretical availability of Sativex and the MHRA process for issuing marketing authorisations in respect of medicines. This refusal to engage, acknowledge or properly consider the very large amount of evidence that is available is indicative of an inexplicable prejudice within government. Although conspiracy theories abound, it is difficult to understand why ministers adopt this position. Cannabis was one of the most used medicines in the British pharmacopeia until only about 100 years ago. It could be restored immediately by a stroke of the Home Secretary’s pen to remove it from schedule 1. This would immediately make it possible for doctors to prescribe medicinal cannabis from Bedrocan17, the Netherlands government’s exclusive contractor. Bedrocan cannabis is carefully regulated by the Netherlands government’s Office of Medicinal Cannabis. It is available in five different THC:CBD ratios. It is already exported to many countries in Europe and the company has established itself in Canada as well. It is less than a tenth the cost of Sativex for equivalent cannabinoid content and can be consumed either by a medical vapouriser or as an infusion. No minister in this or any previous government has ever presented a coherent reason for the refusal to allow cannabis to be used as a medicine. Their only response is to fall back on largely spurious or exaggerated claims about the harms of recreational use. Cannabis would not need to be ‘licenced’ for medicinal use following a change in schedule. As soon as it removed from schedule 1, doctors would be able to prescribe it and businesses interested to grow, process and develop cannabis medicines would be able to obtain cultivation/possession licences from the Home Office. Medicines are no longer ‘licenced’ in the UK. The MHRA grants marketing authorisations. The initial fee, simply for filling in the application form is £103,000.00, thus prohibiting any but the very largest, established businesses from even considering such a venture. The very term ‘marketing authorisation’ reveals the mindset of medicines regulators which is now more about commercial interests than the evaluation of the safety and efficacy of medicines. The MHRA does have a regulatory scheme for ‘Traditional Herbal Registration’ (THR) but it only applies “if the medicine is used for minor health conditions where medical supervision is not required.”. An application for a THR for cannabis could not be made while it remains in schedule 1 but, if granted, would not permit its use for many conditions where there is excellent evidence of its efficacy. The MHRA is locked in an inflexible, unscientific and restrictive process which can only evaluate medicines which are either one or two molecules. Its process is designed for synthetic, potentially very dangerous molecules and is entirely unsuitable for a plant based medicine such as cannabis. This is why, as explained above, Sativex has been improperly regulated as containing only two molecules: THC and CBD. When the Sativex (nabiximols) patent expires, independent analysis of the medicine would certainly demonstrate that it is whole plant cannabis oil. Presumably alternative and/or generic versions could then be produced. However, by any standards, for all parties, the regulation and scheduling of Sativex is inaccurate, if not dishonest, and needs revision. If cannabis is removed from schedule 1, most appropriately to schedule 4 alongside Sativex, in our judgement there will be a large number of businesses applying for cultivation/possession licences for research which will eventually result in applications for marketing authorisations. In the meantime, it can only be described as cruel and evidence-free not to permit doctors to prescribe Bedrocan, a safe, effective medicine already regulated by another European government. It is likely that enabling the prescription of Bedrocan would result in substantial savings to the NHS medicines budget. However, any idea that this could be quantified based on existing evidence is fanciful. Certainly, compared to existing prescription medicines and Sativex, Bedrocan is very inexpensive, probably less than 10 euros per patient per day. However, the complexity of calculating which medicines it could replace by individual, partly or wholly and for how long makes the exercise so hypothetical as to be meaningless. It must be true that once local, UK-based cultivation of medicinal cannabis was permitted, prices would reduce even further. Aside from France and Ireland (which is moving rapidly towards drugs policy reform), every other EU country has a more intelligent, compassionate and evidence-based policy towards medicinal cannabis. Based on existing policy and its record, the UK government would simply refuse to comply with any EU regulation of medicinal cannabis. Under the Schengen Acquis (of which UK is a signatory, though not to the full Schengen Agreement), if a medicine is prescribed to a resident of a member state, that resident may travel to other member states with up to three month’s supply under the protection of a Schengen certificate. The effect of this is that a resident of the Netherlands, Belgium, Finland, Germany, Italy, etc. can bring prescribed cannabis, likely Bedrocan, into the UK and use it without restriction. The crucial test here is residency, so it is not possible for a UK resident to travel to another country, obtain a prescription and then return to the UK legally with cannabis. Presently, a Schengen certificate for a UK resident has to be issued by the Home Office. Strangely and in contravention of this explicit provision, Norway (Non EU but a signatory to Schengen) does permit its residents to obtain prescriptions, usually in the Netherlands, and return home with cannabis. It is also likely that given the hostility towards EU regulation, adding cannabis into that debate would be counterproductive. It would be used as another stick with which to beat the EU. As some members of the APPG are aware, CLEAR has been involved in trying to obtain legal access to prescribed Bedrocan since 2012. We now have approximately a dozen members who regularly receive private prescriptions from their doctors (both consultants and GPs) and travel to the Netherlands to have them dispensed. In all instances, these individuals have either declared their medicine at customs and/or have made prior arrangements with the Border Force, producing supporting documentation. This is possible because of errors and inconsistencies in the MoDA and the MoDR. All English drugs legislation, including the recent Psychoactive Substances Act 2016, is badly drafted, contradictory and scientifically illiterate. The principle active ingredients of cannabis are delta-9-THC and cannabidiol (CBD). Bedrocan products are specified with different ratios of these substances. While cannabis is classified in schedule 1, so is delta-9-THC but it is also in schedule 2 described as dronabinol, which is the international non-proprietary name (INN) for delta-9-THC. CBD is not a controlled drug. Therefore, if a doctor is prepared to write a prescription e.g. dronabinol (Bedrocan 22%) or dronabinol (Bediol 7.5%), three month’s supply of the medicine may be legitimately imported as a schedule 2 drug. In the past four years only one CLEAR member has been frustrated in this. He had his medicine seized but he was not prosecuted. An appeal against the seizure failed. Clearly, the vital factor in this scheme is a doctor who understands the law and the science and is prepared to write the prescription. 7. Email corres with Marc Rogerson, GW Pharma, 160312. Attached. The Disaster That Is UK Drugs Policy. The more harmful, dangerous and addictive a drug is the more important that its availability should be legally regulated, otherwise, inevitably, a criminal market is created with massive consequential health and social harms. In the UK, before the Misuse of Drugs Act was introduced in 1971, we had around 3,000 problematic drug users. We now have 350,000. Yet successive governments carry on in the same direction. The vested interests of Big Booze have been supported and encouraged by weak politicians, leading to lighter and lighter regulation of the most dangerous drug of all. Meanwhile, relatively harmless and beneficial substances like cannabis have been abandoned to street dealers and organised crime, blighting communities and involving children in both dealing and use – just as happened with alcohol prohibition in the US. All the evidence is before us and the most effective policies for reducing harm from drugs are very clear. What we need to do is sweep aside outdated, out of touch organisations like the Home Office and dinosaurs like the present Home Secretary, Theresa May. Yet since 1971, there have been a few intelligent and progressive ministers in the Home Office. Surely it is the irresponsible and obstinate influence of senior civil servants that has prevented governments from moving forward with reform? Drugs policy must be based on evidence, not pressure from tabloid newspapers, the alcohol industry, scared and ignorant politicians and self-serving civil servants and quangos. Parliament is now obligated to debate Caroline Lucas’ e-petition formally to evaluate the effectiveness of current policy. We must move rapidly and radically thereafter towards a solution that will work and put aside the idiocy of the last 43 years. To all that support change in current policy, I invite you to take part in: PM MP. What is PM MP? Well, I am hosting a letter that I am encouraging as many people as possible to post one copy to the Prime Minister, and one copy to your MP. It is through weight and numbers that points are grasped and policy changed. It is also worth sending to the Home Secretary – Theresa May, and James Brokenshire – Minister for Crime Prevention at the Home Office. Below you can find the template letter that has been created to address the current law & policy that surrounds cannabis in Britain. It is with a great deal of thanks to the Drug Equality Alliance for directing the wording to address this issue correctly. Please do support this; please send the letters. Fellow bloggers, please also host the letter and send forth. Either copy & paste the below text into a letter, or I have provided downloadable links at the end of this blog post. Thank you all. Jason. I am writing to state my view that continuing prohibition of all private interests in cannabis is not in the best interest of society or the individual. Current policy is in many regards counter-productive and a drain on the country’s resources. The administration of Misuse of Drugs Act 1971 is mandated to be under constant review & evidence based; it’s concern is solely to reduce social harm caused by drug misuse. I submit that there can be no justification in law for the blanket ban on accessing a substance that many persons use responsibly, and many use to experience the amelioration of symptoms caused by various medical disorders. The estimated expenditure of £19 billion on the judicial ‘controls’ over UK drug policy is a large sum that cannot be justified in the current fiscal climate. I do not believe it can be proven to be a valid policy even if the nation could easily afford it; it has a high price on liberty, and a paradoxical effect upon the health of all drug users – it has proved futile in almost every way, save for the government’s blind adherence to the international treaties it chooses to fetter it’s discretion to. There is an estimated street value of £5 billion profit going directly to gangs and cartels, and this in turn funds organised crime, human trafficking, and all manner of hard-line criminality. Children have easy & ready access to cannabis. Children are dealing cannabis and using cannabis with relative ease. There is an estimated 165 million responsible and non-problematic cannabis users worldwide. There is anything from 2 – 10 million adult users in the UK. There is no societal benefit to criminalising such a large portion of society, these are generally law-abiding persons who wish to use a substance that is comparatively safer than many drugs that government choose to exclude users of from the operation of the MoDA 1971 (despite the Act being neutral as to what drug misusers are controlled, the most harmful drugs such as alcohol and tobacco are excluded by policy, but this is not reflected in the Act itself). Under prohibition, as in 1920’s America, quality control has suffered giving way to hastily harvested cannabis which acts as the modern day equivalent of the infamous Moonshine & Hooch. The UK media terms this bad product simply as “Skunk”. Cannabis is now being cut with harmful drugs, glass, metal fillings, and chemicals to give false potency, and to add weight for profit motivations. To criminalise personal actions that do not harm others within the confines of privately owned property is at best draconian, and at worst futile & irresponsible. An age-check system to prevent the young and vulnerable from obtaining cannabis with the ease they currently have. The partial saving from the £19 billion drug enforcement budget, alongside the estimated street worth of £5 billion potentially collected from cannabis. This would be a considerable sum in aiding the country in fiscal crisis. Quality control that can be accorded to cannabis production and sale, thus ensuring that there are no dangerous impurities and that the correct balance of cannabinoids are present (according to the needs of the user) to minimise potential harms. Potency & harm reduction information can be provided to adults, ensuring education is the forefront of the regulatory model. A restriction on marketing and the creation of designated discreet outlets. As seen in many countries, given a place of legitimacy, the cache of cannabis is lessened in favour of responsibility. The freedoms and rights for non-problematic users to be respected. I do hope that you will give this matter the urgent attention it warrants.